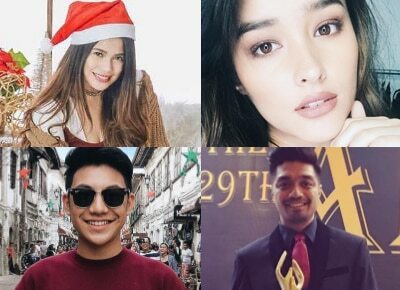 Before we welcome the New Year, here are some celebrities who shared with PUSH.com.ph their thoughts on 2016. Furthermore, she said that she was happy with the new families she gained through her endorsements and projects. “I don’t know. I just experienced so much this year. I guess it’s also due to the fact that I’m 18… I’m really trying to experience things now,” Liza added. For singer Darren, there was nothing he was not able to handle this year. “It was very blessed, I would say. Blessed po ‘yung 2016 ko kahit may mga, I guess, bumps along the way, wala namang hindi kayang hindi i-solve na problema so kahit malaki man ‘yan o maliit, life goes on,” he said, adding that it has been a fun journey for him. “If I could sum up 2016 in one word, it would be ‘renewal,’” actress-singer Denise Laurel said, considering everything she went through this year. “Life happens. It’s a matter of picking yourself up and making the most and being thankful for what you do have – good health, being alive, having a wonderful family and focusing on what you do have rather than what you don’t have,” Denise added. Jovit shared his plans of being a better family man as his girlfriend Shara Chavez gave birth to their firstborn early this year.